Members of the UCC's University Sanctuary Working Group with UCC President, Professor Patrick O'Shea (second from left), and Professor Caroline Fennell, Senior VP at UCC. An international collaboration jointly led by University College Dublin (UCD) and Monash University in Melbourne has found that mimicking the activity of molecules found naturally in the body may provide a new approach to treating vascular disease in patents with diabetes. Currently 425 million people have diabetes and this is expected to rise to 750 million by 2025. People with diabetes have a high incidence of cardiovascular disease. In healthy conditions, the body produces special messenger molecules that tightly control inflammation. In diseases such as diabetes, inflammation can become so vigorous that it overwhelms the activity of these messengers and rages out of control. This research study carried out by Dr Eoin Brennan in UCD and investigators in Melbourne, as part of an EU funded project, took a radical approach of mimicking the activity of these messengers using a synthetic version of a molecule called lipoxin. By taking the plaque tissue from human blood vessels and exposing it to lipoxin molecules in the laboratory, the research team found that inflammation was reduced. Importantly, the team showed that lipoxins could prevent the progression of atherosclerosis in animals with established atherosclerotic lesions. The study builds on earlier work by these scientists that showed these compounds reversed established diabetic kidney disease. Dr. Eoin Brennan of University College, Dublin. Dr. Martin O’Halloran, Director of the Lambe Translational Medical Device laboratory at NUI Galway is the only Irish scientist among 50 in Europe awarded European Research Council top-up funding to develop a novel hydrogel to treat chronic pain. The Proof of Concept grants, worth €150,000 each, are part of the EU’s research and innovation program, Horizon 2020. 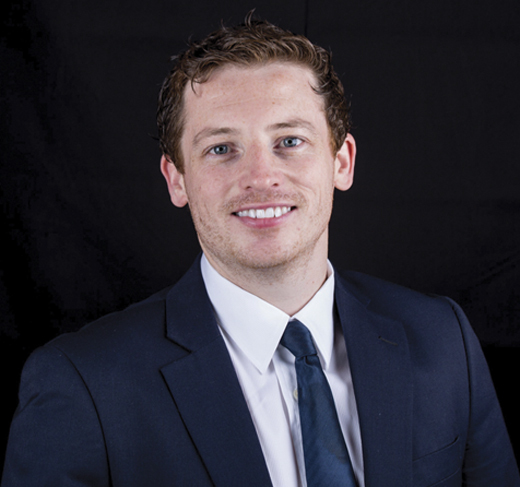 The top-up funding award will allow Dr. O’Halloran to develop the results of his scientific hydrogel concept to file patent applications and attract capital to make the research marketable, and explore the commercial and societal potential of the product. According to international studies, one in five adults in Europe suffers from chronic pain which amounts to 95 million people. The novel gel being developed during this project can be used to treat many different types of peripheral nerve pain. One common type of chronic pain is Trigeminal Neuralgia (TN), a prolonged debilitating condition caused by a trauma to the trigeminal nerve, resulting in sudden attacks of excruciating shooting facial pain. It is infamously called the “suicide disease” due to the high number of suicides associated with it. Dr. Martin O’ Halloran will use his Proof of Concept Grant to seek to develop this novel hydrogel, which aims to provide long-lasting and drug-free treatment for this condition and other areas affected by chronic nerve pain. 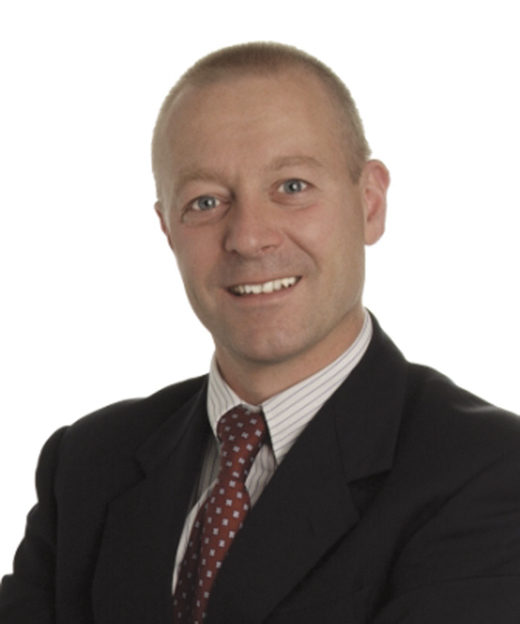 Dr. Martin OHalloran, Director of the Lambe Translational Medical Device laboratory at NUI Galway. Researchers at Queen’s University Belfast have discovered a groundbreaking therapeutic process that can target and kill bowel cancer cells, which may improve survival rates for bowel cancer patients globally. The research, published in the prestigious journal of Molecular Cancer Therapeutics, presented a novel treatment strategy for bowel cancer patients who originally present with an extremely poor survival outcome. The research was led by Dr. Nicholas Forsythe along with Professor Sandra Van Schaeybroeck and the late Professor Patrick Johnston. Explaining how the research has exploited a cellular process in order to kill cancer cells, Dr. Fortsythe said, “Essentially, we can take advantage of the aggressive biology of these cancers and use it against them.” The researchers say the next step is to explore novel drugs, which can ultimately improve the survival outcome for these patients. According to a research study, also conducted at Queen’s university conducted, adults who were breastfed as babies went on to earn a 10 percent higher household income at age 50 than those were not. The research team was led by Dr. Mark McGovern, from Queen’s Management School, in collaboration with Dr. Slawa Rokicki from University College Dublin (UCD), Dr. Giampiero Marra from University College London, and Dr. Rosalba Radice from Cass Business School. Seven asylum seekers and refugees began their studies at University College Cork (UCC), in September with scholarships that cover full fees and tuition, in addition to a number of annual bursaries covering travel and expenses. UCC’s Sanctuary Status is a marker not just of what has been achieved in UCC, but an indicator of the need for sustained and creative work to support asylum seekers and refugees locally and internationally, according to UCC’s Senior Vice President, Professor Caroline Fennell. “Universities provide a key space in which to challenge societal assumptions and to support and highlight work aimed at fostering a culture of welcome for asylum seekers and refugees. UCC has joined Dublin City University (DCU) and University of Limerick (UL) as universities leading the way in Ireland by being awarded University of Sanctuary status by Places of Sanctuary Ireland. 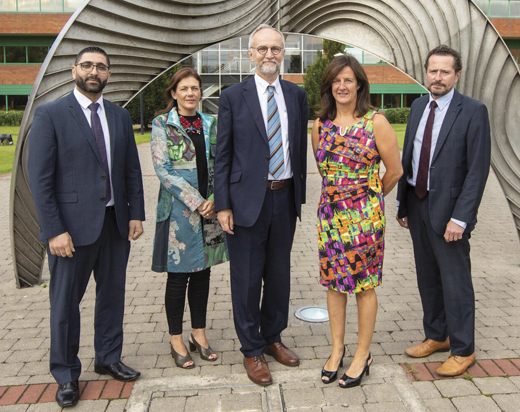 Leaders in the pharmaceutical manufacturing sector in Ireland gathered at University of Limerick on August 30, for the fourth annual Pharmaceutical Manufacturing Technology Centre (PMTC) Knowledge Day. The event brought together over 250 academic, industry and government agencies (Enterprise Ireland and IDA, and included experts from the University of Birmingham, Eli-Lilly, GSK, Rutgers University, Alfa-Laval, Amgen and Steris, who shared their insights into topics under the theme of continuous manufacturing, application of PAT, vessel cleaning and cleaning validation. “PMTC is bringing forward novel technologies in a growing pharma market with extensive opportunities to build on the existing well developed, productive and collaborative engagement between industry and academia in the region, aimed at ensuring the availability of a sustainable supply of high-quality skilled postgraduates to support economic growth in the region.” PMTC interim Director, Ahmad B. Albadarin said. PMTC Director Ahmed B. Albadarin (left) with colleagues. A new study led by Ross MacMillan, Chair in Sociology at University of Limerick, has found that an increase of women holding political office is associated with an increase in the life expectancies of women and children. Published in the journal Demography, the study assessed changes in the share of women in the national legislatures of 155 nations, in conjunction with their mortality rates between 1990 and 2014. The results showed that when the percentage of political representatives who were women reached the UN advocated “critical mass” of 30%, the mortality rates of women and children fell even faster. 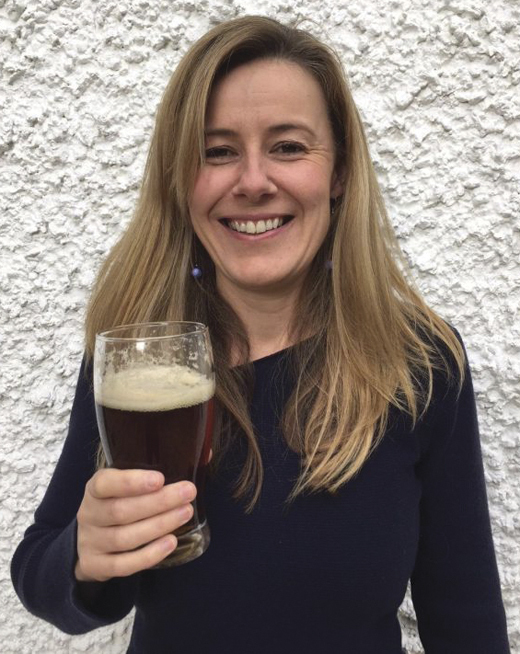 Irish historian Dr. Susan Flavin, a lecturer in early modern history at Anglia Ruskin University has produced a study showing that beer was a vital source of calories and nutrition for Irish workers in the 16th century. Her work highlights the importance of beer consumption for many manual laborers due to the lack of readily available food-sourced calories, as well as for thirst-quenching and social drinking. “It was seen as good for energy and health, and was thought to have restorative properties,” Flavin told the Irish Times. Beer was brewed primarily from oats at the time, due Ireland having inhospitable soil for barley-growing and the high price of hops and wheat. It was bitter and thick, regarded by the English as inferior, though was considered by the Irish to be nourishing, containing an estimated 400-500 calories per pint in contrast to today’s 180-200. Records from 1565 show that Clontarf stone masons were provided 14 pints of beer a day by the proctor of the Christ Church Cathedral. Documents from Dublin Castle reveal that the household staff consumed 264,000 pints of beer in 1590, which averaged up to eight pints each per day for each person.